There hasn’t been an entry level convertible available from Ferrari since the F430. 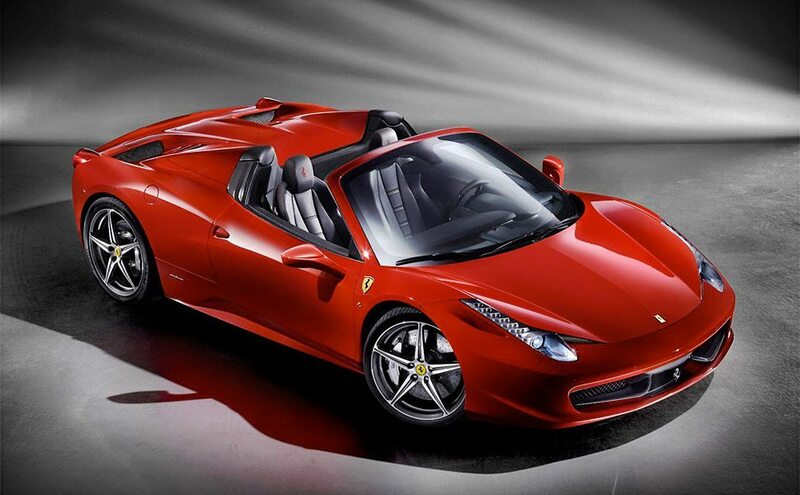 That’s about to change with the Ferrari 458 Spider ($TBA). The 458 Spider not only brings back the prancing horse’s drop top it’s also the world’s first mid-rear engined ride with a retractable hard top and it drops it’s top in a mere 14 seconds. Other niceties include a 4.5L V8 producing 562 hp, Ferrari’s dual-clutch F1 paddle-shift transmission, high-performance ABS, a top speed of roughly 200mph, and gorgeous 20-inch rims.